Great for use with entertainment centers, desks, furniture and more! - Flat plug requires minimal space. Are big, bulky power adapters creating unsightly gaps between your walls and furniture? 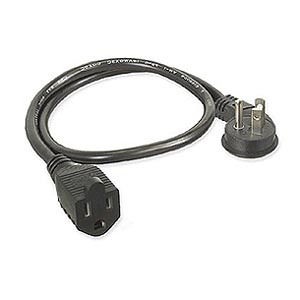 The 36 long Flat Plug Power Strip Liberator extension cord lets you move your power adapters off the wall and down onto the floor. They have a flat plug with a unique right-angle design that minimizes the space required at wall outlets.